Metastatic breast cancer (MBC) is the spread of cancer cells beyond the breast and lymph nodes, to other parts of the body. Metastatic breast cancer is also referred to as stage IV (or stage 4) or advanced breast cancer. While breast cancer is the most common cancer in women, most diagnoses are made early, before the cancer has spread to the lymph nodes and other parts of the body. The high cure rate for early stage breast cancer has received so much attention that those with metastatic breast cancer often feel isolated. 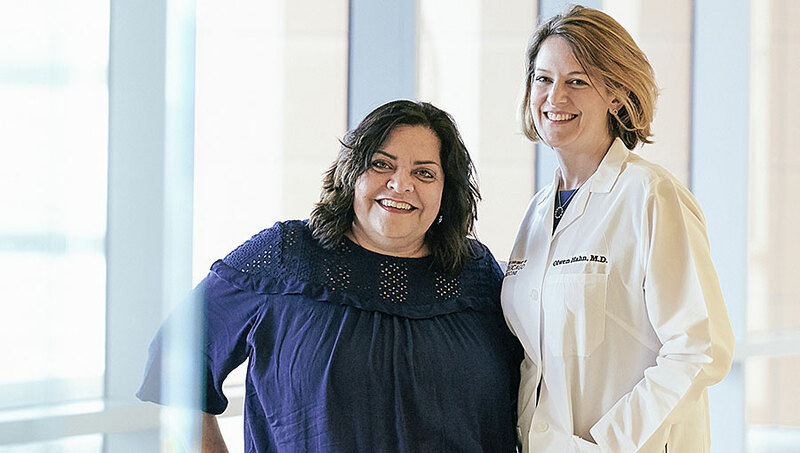 Efforts to increase awareness, accelerate treatment advances, and improve quality of life, however, are helping to unite and empower the metastatic breast cancer community. Many people with metastatic breast cancer are living long productive lives because of new targeted therapies that aim to treat the disorder like a manageable chronic disease. Here is an overview of the basics of metastatic breast cancer, including who has it, how common it is, what types exist, and differences in those types. Using data from the National Cancer Institute’s Surveillance, Epidemiology, and End Results (SEER) program, researchers estimated that as of Jan. 1, 2017, more than 150,000 women in the U.S. are living with metastatic breast cancer. The SEER program also estimates that three in four of the women living with metastatic breast cancer were initially diagnosed with early stage breast cancer. Breast cancer is recurrent when it returns after a period of time during which it was undetectable. It can recur on the same breast or chest wall, or on the opposite side. Breast cancer is metastatic when it has spread to other parts of the body. Both recurrent and metastatic cancers are considered advanced cancers. While metastatic breast cancer is most common in women, a small number of men are living with breast cancer that has spread to other parts of the body. Estimated deaths caused by metastatic breast cancer in 2017 in men totaled 460. Estimated deaths resulting from metastatic breast cancer in 2017 in women totaled 40,610. The good news is that survival time has increased dramatically for women and men with metastatic breast cancer. Five-year survival among women age 15 to 49 initially diagnosed with metastatic breast cancer has doubled. Between 1992 and 1994, five-year survival was just 18 percent, but between 2005 and 2012, it grew to 36 percent. And clinical research seeking newer treatments for metastatic breast cancer is a priority at major cancer centers as well as commercial pharmaceutical companies nationally and beyond. What is your quality of life with MBC? This research is vital: a quality-of-life study published in 2013 in The Breast Journal explored the impact of metastatic breast cancer examining women’s physical, psychological, and social experiences. Pain and fatigue were reported to interfere with daily activities and enjoyment of life. Treatment side effects such as infections, hot flashes, sexual dysfunction, anemia, nausea, vomiting, and diarrhea compromised quality of life. Inability to concentrate and compromised memory were also reported to compromise daily living. In the study, women with metastatic breast cancer shared that they feel devastation, desperation, alienation, and abandonment. Concerns about appearance focused on embarrassment from hair loss and disfigurement from loss of a breast. Body image issues included scarring, weight gain, and lymphedema. Social challenges can include a partner’s denial of the seriousness of metastatic breast cancer, avoidance of discussion about the illness, and the awkwardness and discomfort of others in talking about the prognosis. As this study shows, the impact of metastatic breast cancer requires interventions to optimize quality of life, with research a priority. Are there different types of MBC? Yes. The most common types of breast cancer are ductal and lobular. Ductal breast cancers occur within the ducts of the breast, then move through the ductal wall to fatty and fibrous breast tissue. Lobular cancers begin in the lobule, which is where breast milk is produced. They move through the wall into fat and fibrous tissues without causing scar tissue. They can grow without forming a tumor, which makes them harder to detect. Inflammatory breast cancer is rare and highly aggressive, and it can be ductal or lobular. How and where does MBC spread? The process starts with a mutation, or error in a normal cell’s DNA. The DNA error results in cancer cells that reproduce at a very fast rate. The cancer cells spread and “highjack” healthy cells. In time, new cancer cells move into the bloodstream or the lymphatic system, traveling to other areas in the body. The large vessels become narrow and end in small capillaries, where the cancer cells lodge before dividing and moving into surrounding tissue. Then, at the new location, they take over healthy cells and form a mass. The new tumor, or mass, can grow its own blood vessels to sustain continuing growth and spread. Breast cancer usually metastasizes, or spreads, to areas such as the bones, the brain, the liver, and the lungs. Metastasis to each vital organ carries its own set of symptoms. Even though it spreads to other parts of the body, its biologic identity remains that of breast cancer, rather than that of the organ tissue it has invaded. Read more about what symptoms you'll experience in HealthCentral's slideshow on sites of metastasis. To understand in more depth the staging system that integrates T (tumor size), N (lymph node involvement), and M (whether the cancer has metastasized), see the American Cancer Society’s explanation at this link. Age is a major risk factor for metastatic breast cancer: 95 percent of cases are diagnosed after age 40; the median age at diagnosis is 61. Another major risk factor? Being female. A total of 99 percent of cases are female; 1 percent are male). For more on risk factors for metastatic breast cancer, read the HealthCentral slideshow on the topic. What are common treatment approaches for MBC? Expanded knowledge of the biology of breast cancer has resulted in advances in genomic targeted therapies, some of which are FDA-approved and others, available by enrolling in clinical trials. Increasing attention is being focused on harnessing the immune system to guide drug development. The current standard of care for treating metastatic breast cancer, as published in 2015 in the Journal of the American Medical Association, is to identify, via biopsy, whether the cancer is ER positive, ER/HER2 positive, HER2-positive, or negative for ER, PR, and HER2. Those that are positive for ER alone or ER and HER2, may receive an aromatase inhibitor with or without palbociclib, tamoxifen, exemestane and everolimus, fulvestrant, or another hormone, with administration of standard-of-care chemotherapy if needed. Those positive for ER/HER2 or HER2 alone could receive taxane, trastuzumab and pertuzumab, TDM-1, lapatinib with chemotherapy, or trastuzumab with chemotherapy. Those who are triple negative would receive standard chemotherapy. If you have metastatic breast cancer, you might be a candidate to be a part of a clinical trial, which can offer access to promising new therapies. To find a clinical trial, ask your oncologist and/or use the following resources to learn about clinical trial opportunities focused on metastatic breast cancer. Metastatic Breast Cancer Trial Search is sponsored by BreastCancer.org and is shared on the Susan G. Komen and Living Beyond Breast Cancer websites. ClinicalTrials.gov is sponsored by the U.S. National Institutes of Health. To search for a clinical trial, type “metastatic breast cancer” into the Disease box, select the country of choice, and select the search tool. Santa-Maria CA, Gradishar WJ. Changing Treatment Paradigms in Metastatic Breast CancerLessons Learned. JAMA Oncol. 2015;1(4):528–534. doi:10.1001/jamaoncol.2015.1198. Mosher CE, Johnson C, Dickler M, et al. Living with Metastatic Breast Cancer: A Qualitative Analysis of Physical, Psychological, and Social Sequelae. The Breast Journal. 2013;19(3):285-292. doi:10.1111/tbj.12107.